Hey there, Colorado! Since we opened in Aspen in 2016 and Telluride in 2018, we've loved exploring the Centennial State. Today, we're proud to take our mission on the move as we launch @Compass Denver and Boulder. Message me if you’re looking to #findyourplace in the Rockies! Hey there, Colorado! Since we opened in Aspen in 2016 and Telluride in 2018, we've loved exploring the Centennial State. 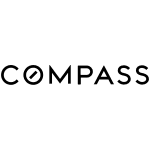 Today, we're proud to take our mission on the move as we launch @Compass Denver and Boulder. Message me if you're looking to #findyourplace in the Rockies!